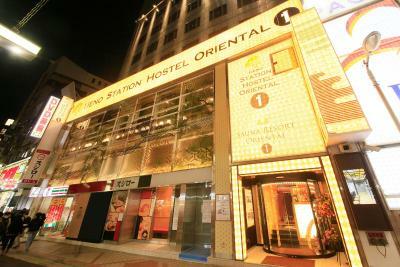 Lock in a great price for Ueno Station Hostel Oriental Ⅰ – rated 8 by recent guests! 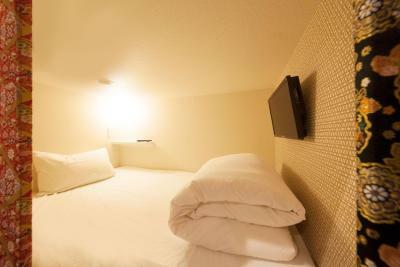 The beds were comfortable and clean, the space was very well decorated, the amenities were convenient. 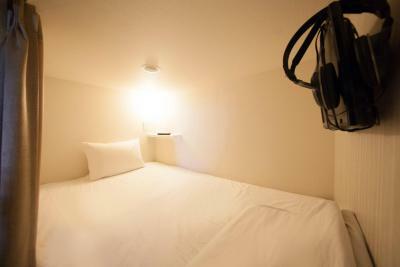 It was a very cool experience to sleep in the small capsule, but the bed and space were nevertheless comfortable. 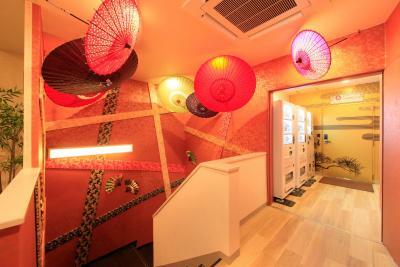 I really liked the service provided as well as the cleanliness of the whole hostel. Would book it again. 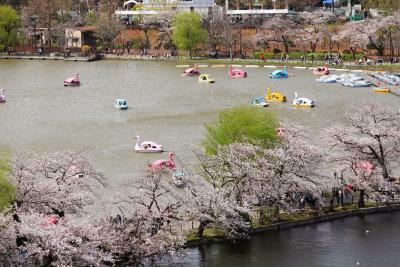 The thing i like the most was its location, it was very close to Ueno park which was my destination for the sakura viewing. 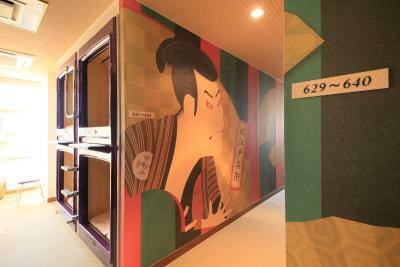 The hotel was clean, simple at very comfortable...if you are a solo traveler, I would suggest this place!!! I honestly don’t have many experiences with hostels, but I would say this a good one, though I was sleeping at the same place with more people I felt good, the cabin gave some independence. 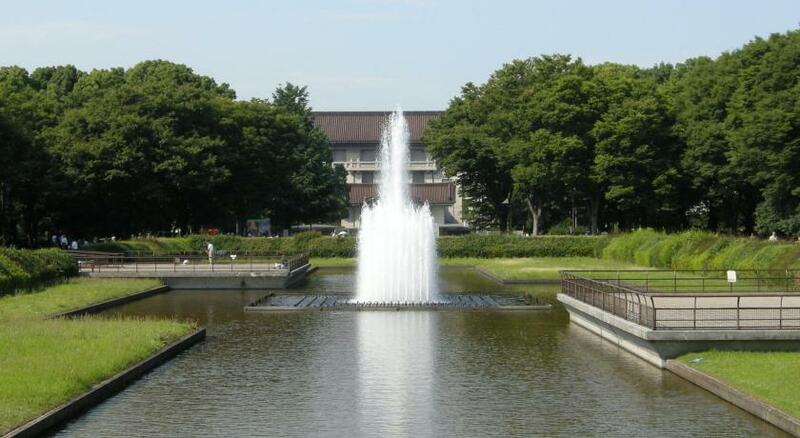 The place is very clean which is the most important for me. 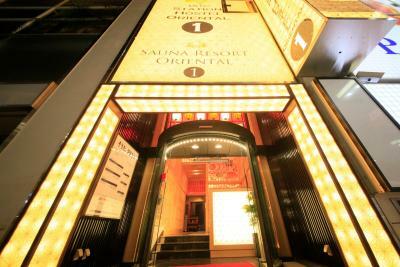 Great location,surrounded by many restaurants and shops, many options to eat Japanese food. Many public transport options and easy to go by walk. It was a good stay, I highly recommend this place. 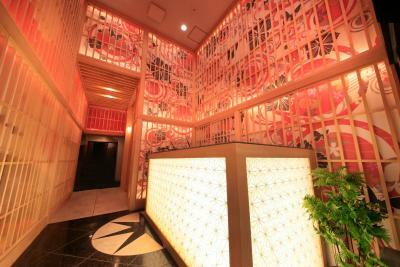 I liked the common lounge, TV room and public baths with jacuzzi on the 4th floor. I loved the fact that they gave pajamas to wear. There were disposable razors for shaving and toothbrushes. Even combs and brush sets, as well as hair spray and shaving foam. 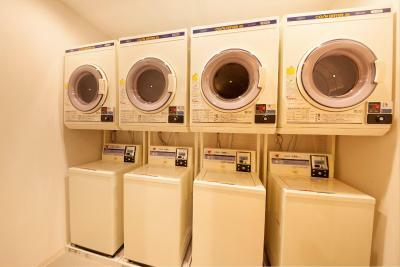 A fresh set of towels every day. And all this was included in the price! 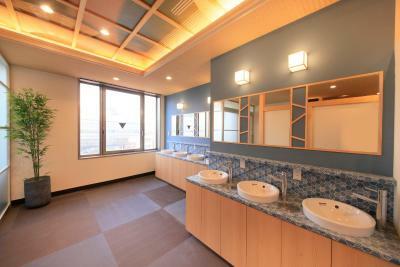 Amazingly good facilities! 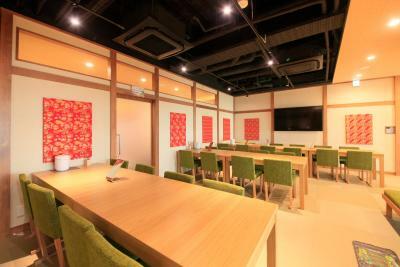 Ueno Station Hostel Oriental Ⅰ This rating is a reflection of how the property compares to the industry standard when it comes to price, facilities and services available. It's based on a self-evaluation by the property. Use this rating to help choose your stay! 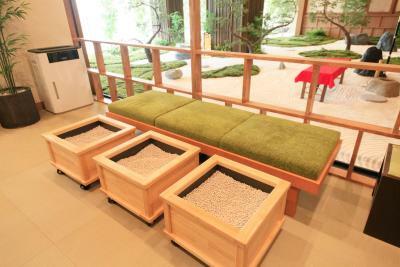 One of our best sellers in Tokyo! 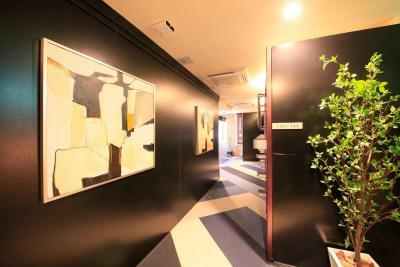 Featuring free property-wide Wi-Fi and hot tubs, Ueno Station Hostel Oriental I is an accommodations just a 5-minute walk from JR Ueno Station and a 3-minute walk from JR Okachimachi Station. Free internet PCs and chargeable massage services are available. 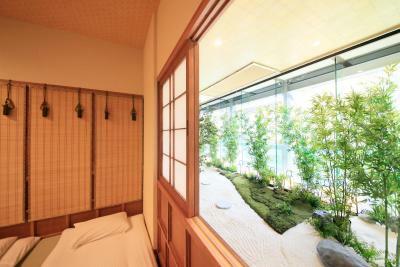 The property is a 10-minute walk to Ueno Park where guests can visit Ueno Zoo, Tokyo National Museum and National Museum of Western Art. 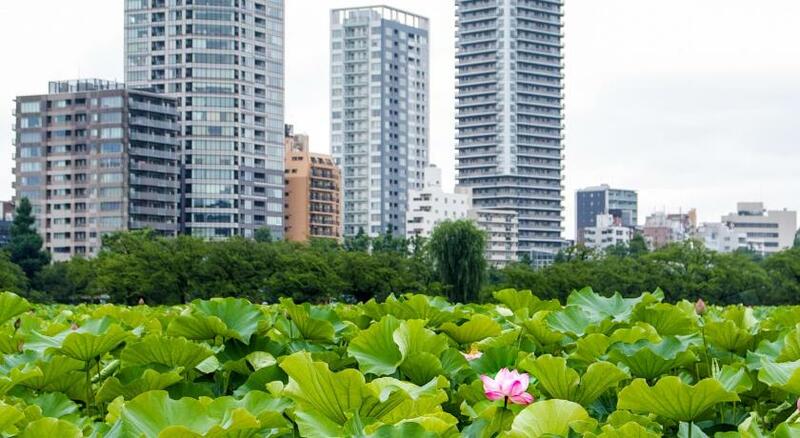 Popular areas like Asakusa, Akihabara and Ginza can be reached within a 10-minute subway or train ride. Tsukiji Fish Market is a 12-minute subway ride away. 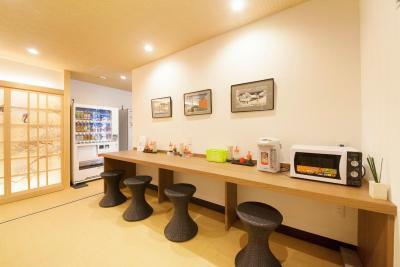 Ueno Station Hostel Oriental I provides coin launderette and a shared lounge with a flat-screen TV and microwave. Drinks and food vending machines can be used on site. 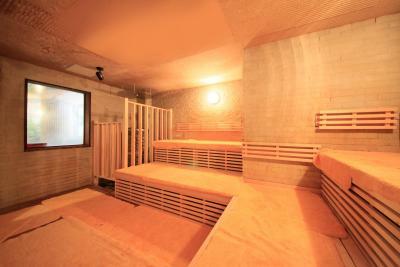 There is a sauna and male-only public bath at the property. 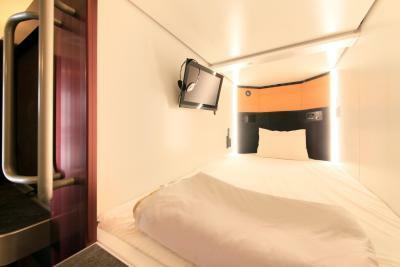 Each capsule comes with a TV, a radio and an alarm clock. A personal locker is also provided to store luggage. 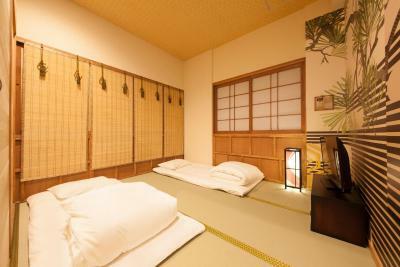 Free toiletries and yukata robes are available at the common bathing area. No meals are served. Guests can bring in food for themselves. 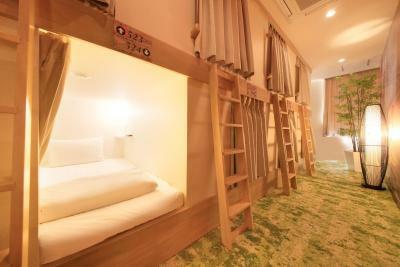 When would you like to stay at Ueno Station Hostel Oriental Ⅰ? 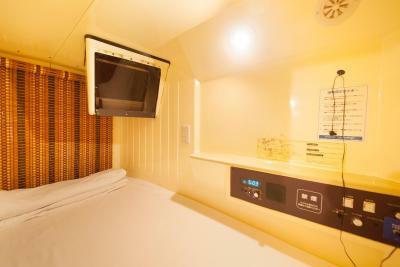 Each capsule has a TV, radio and alarm clock. 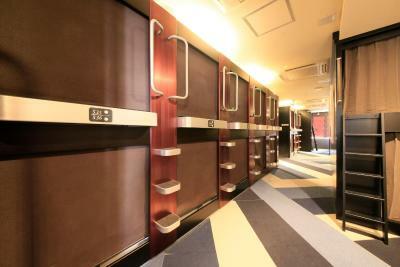 A personal locker is also provided to store luggage. 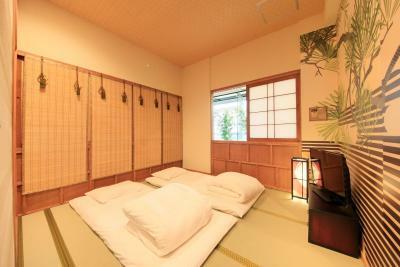 Free toiletries and yukata robes are available at the common bathing area. 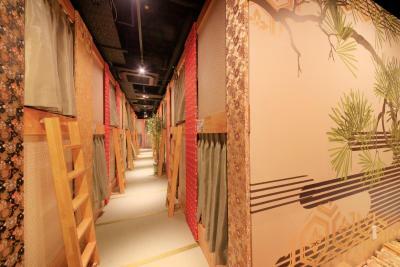 House Rules Ueno Station Hostel Oriental Ⅰ takes special requests – add in the next step! 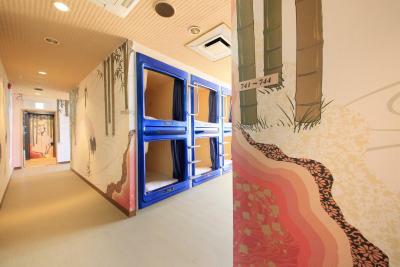 Ueno Station Hostel Oriental Ⅰ accepts these cards and reserves the right to temporarily hold an amount prior to arrival. Please note the designated smoking area on the 5th floor has been relocated to the 6th floor. The 5th floor has been deodorized. Guests must check in before midnight. Please prepare your own plug adopters and power transformers. Guests can stay after check-out time with an additional cost. 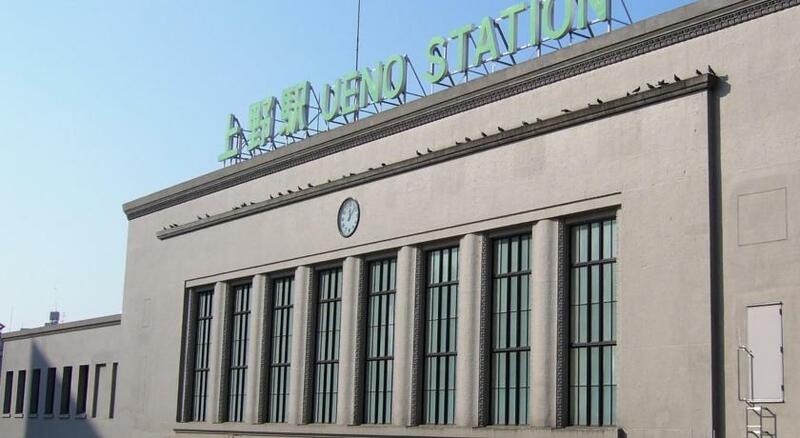 Please inform Ueno Station Hostel Oriental Ⅰ of your expected arrival time in advance. You can use the Special Requests box when booking, or contact the property directly using the contact details in your confirmation. 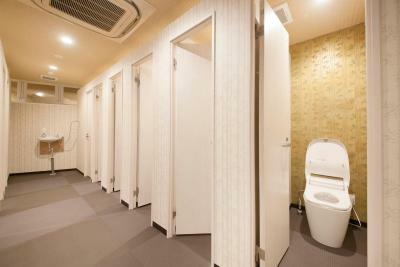 The facility for men is different for females. 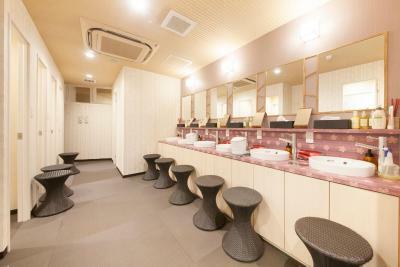 They don't have sauna or the pool, though they have another set of facilities but still the men's area is better. Kinda uncomfortable for a naked bath in a common area though. 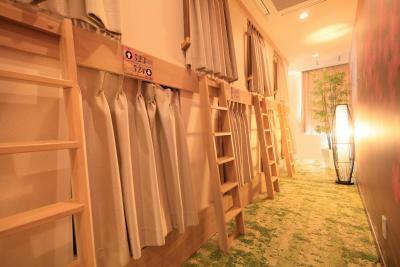 The facility is really strategically located near Ueno Station and the area's main shopping district. 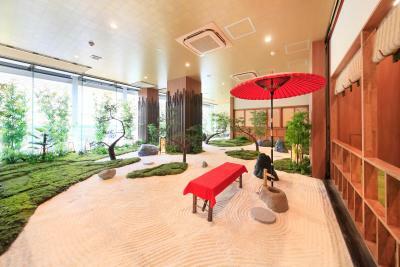 The facility is great especially the Sauna and the Onsen experience. Though really need to improve the periodic replacement of the bed sheets. 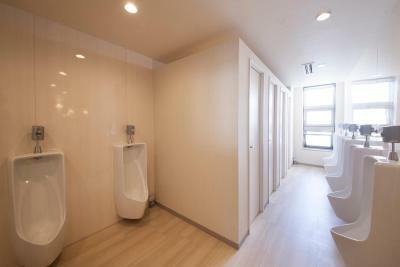 The toilet from floor 7 wasn't as nice as the 5th floor's. You may have to deal with people who talks loud during your sleep if you're unlucky enough. 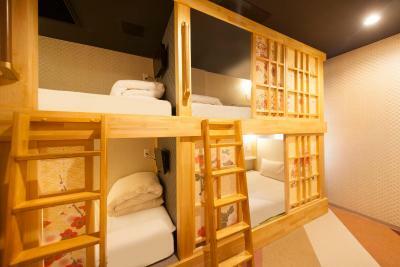 It's conveniently near the subway station and the Ameyoko shopping district. 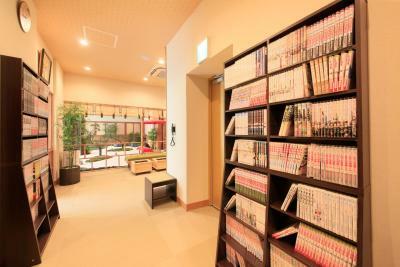 It has a sauna room and a lounge to relax and to read mangas. 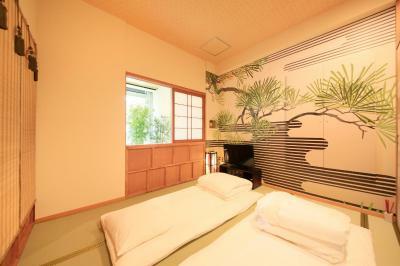 The accommodation has a nice interior design. Weird segregation of men and women... no common area we could hang out it. Women only got one floor they were even allowed to be on (2) besides the lobby (1). Men had all others up to 7. 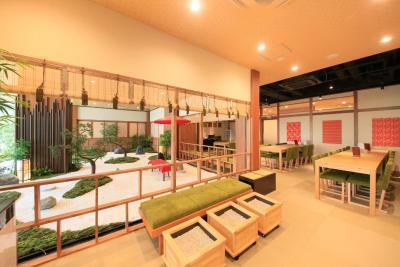 And women didn't get an onsen or sauna, that was just for men. Just thought a bit unfair. 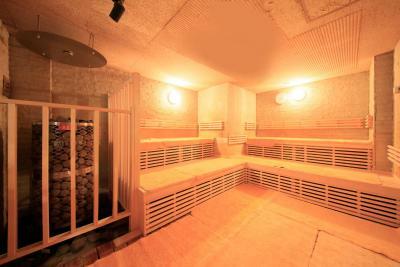 We had access to an Onsen and Sauna... awesome! (See dislikes though) Pretty comfy, had a TV in the pod, got to watch japanese Dragon Ball Z.. cool Smack in betweeen 2 train stations. Directly in the middle of all these izakayas, the food and drink was so good in Ueno. Right in the middle of loads of shopping too. 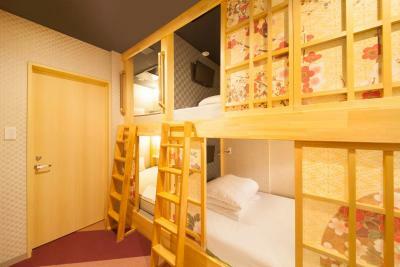 The lockers were a little small so everyone had their suitcases next to the beds which made the room cluttered. 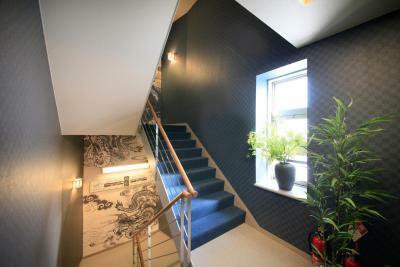 Great location easy to walk to the station or Uneo park and Zoo. 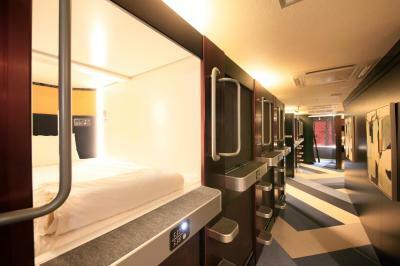 The beds were comfortable and capsules large. The outlet in my particular room didn't work. Everything was great for the price. The location is excellent. 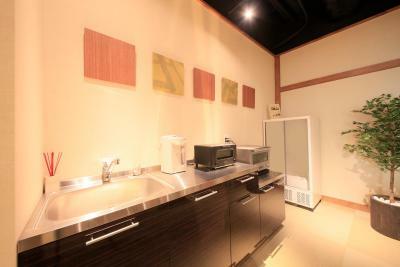 The washroom sinks and amenities were always soaking wet dripping with water. But I guess that says more about the guests staying there than the staff. I wish they did more cleaning rounds still. I think the bedding could be comfier in the capsules. 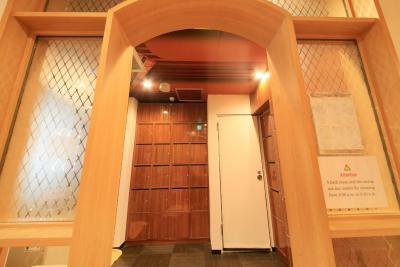 The smoking area could have a better seal to prevent the smokers scent from escaping the smoking room. There could also be hair conditioner and skin lotion instead of just shampoo and body wash. The spa was open to people with tattoos which I appreciated since I needed a last minute place to stay. Staff were very friendly, accomadating, and explained the services available to great detail. Prob better bed I guess? In my capsule, the plug did not work. Futher, I would appreciate if there was a USB-port in the capsule to charge mobile devices or external batteries without the need of purchasing an adapter for Japan.